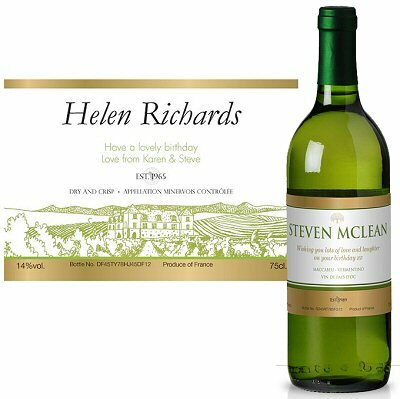 Our personalised bottle of White Wine makes a unique and wonderful gift for a special occasion. 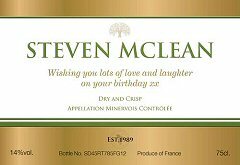 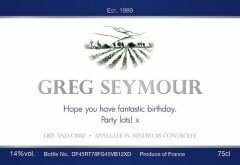 Whoever the recipient, or whatever the occasion, personalised wine makes a great present. 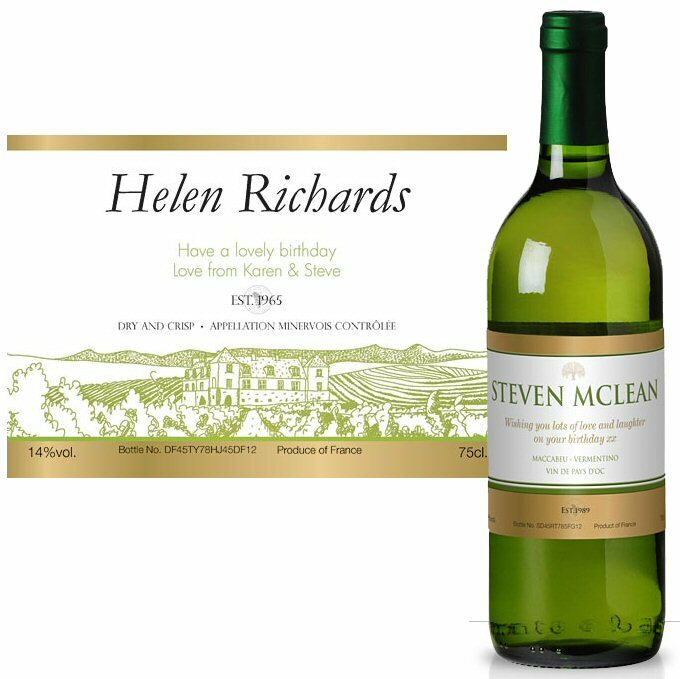 Not only can you personalise these bottles with the recipient's name and special message, you can also choose from a range of superb label designs, specially created for any occasion and recipient. 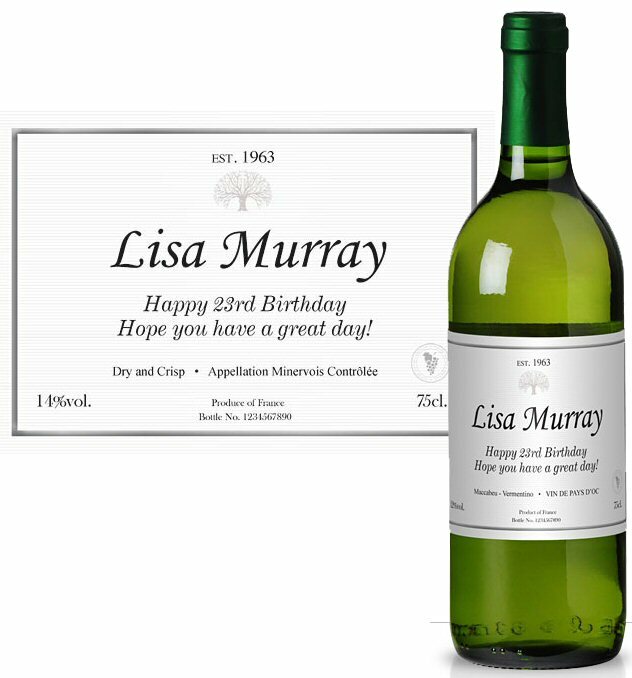 Our labels are printed using the highest quality waterproof inks and water resistant paper stocks and are highly resistant to scratching. 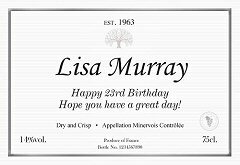 French White AOC: The selected Minervois wine comes from an Appellation Contrôlée area set in beautiful, rugged countryside north of the towns of Carcassonne and Narbonne in Southern France. 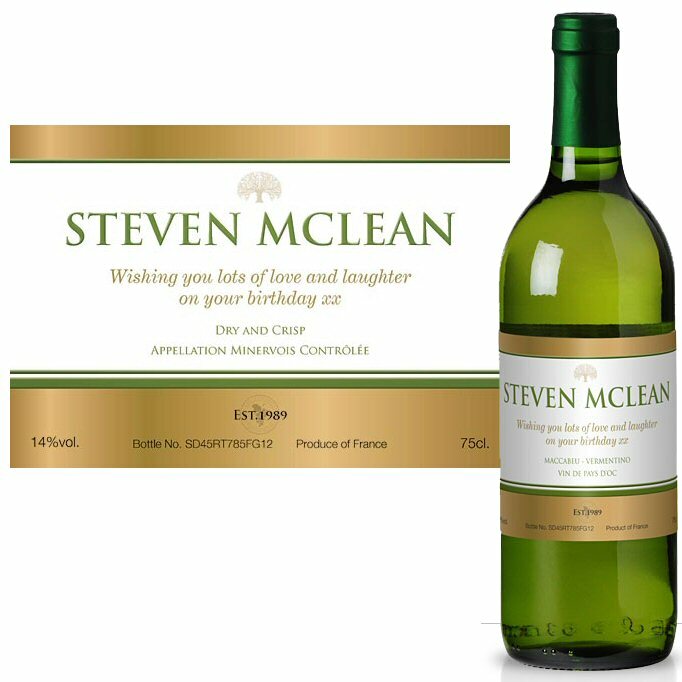 Dry and crisp with a perfect balance of fruit and acidity, it can be drunk on its own, as an aperitif or accompany white meat dishes, poultry, fish and seafood. 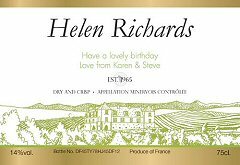 French White VdP: This crisp dry white wine from the sunny vineyards of southern France is made using a blend of Maccabeu & Vermentino grapes which are cold fermented to preserve the fresh lemony aromas and apple acidity. 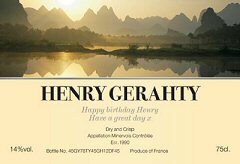 The result is a fresh crisp white wine which is ideal with fish, salads, poultry and cold buffets or as an apperitif. 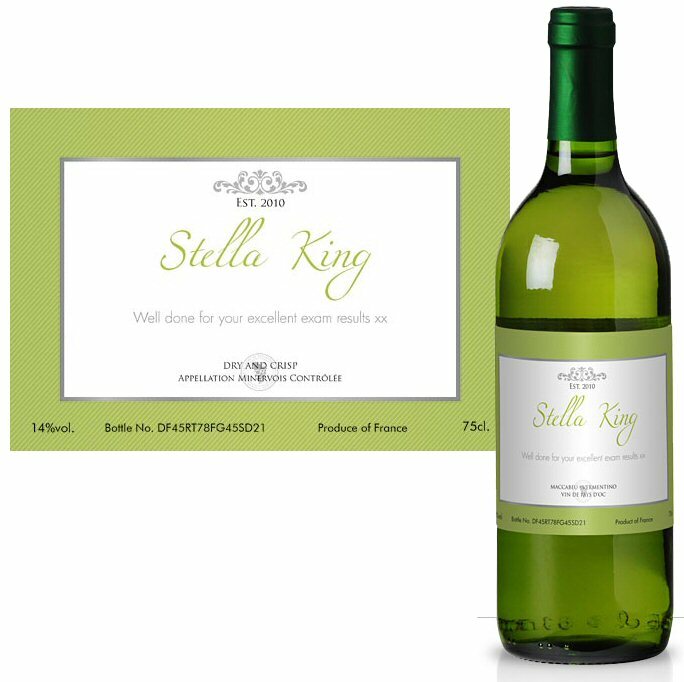 Chilean White: A delicious Sauvignon Blanc bursting with aromas of cut grass, lemon zest and gooseberries. 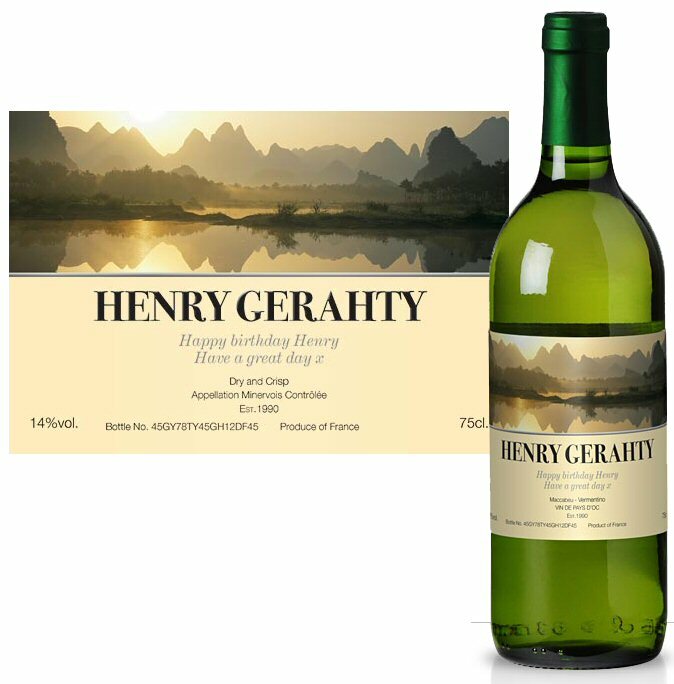 The grapes have been specially selected from one of the most renowned wine producers in Chile. 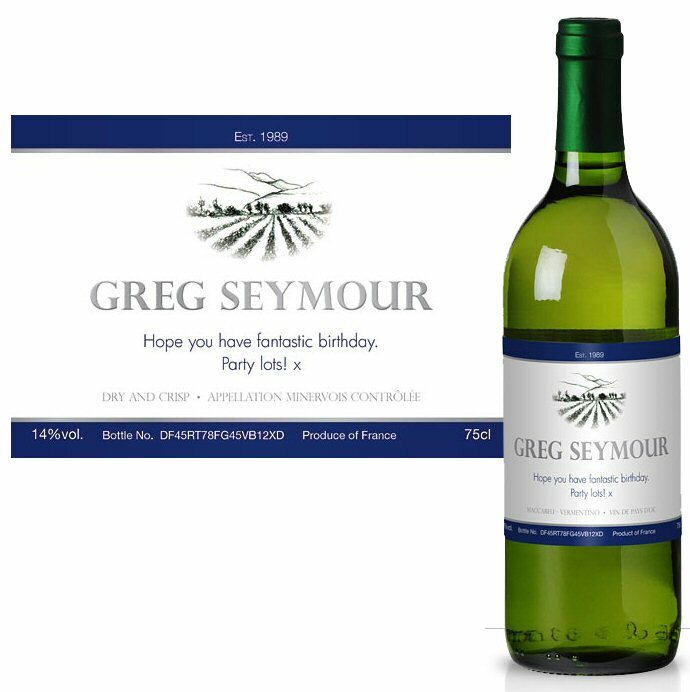 Enjoy on its own or serve with salads, perfect with lobster, oysters, scallops or any type of fish.